September 16, 2018, 11:32 AM · I have met numerous musical colleagues, married to each other, who brushed off the idea that their own musical talent may have rubbed off on their children. These professionals, many of them orchestra players, tend to downplay their own level of talent because the music business has a way of humbling us all. Even those who have a warm, generous tone and can sight read with ease wonder why they can’t do more, or, as crazy as it sounds, even do it at all. I love the idea of talent, that something in us eases the process that defines music. When I first played in an orchestra at the age of eight, my ear rang while the music swirled around me. Some elements of talent were at play. However, when I played out of tune as I crossed strings, the talent I needed was missing. Some children saw the fingerboard as a series of evenly spaced grids; they had the talent that was hiding from me. Young musicians with natural ability play a rhythm and their train of thought is as it should be: first of all, their ears hear the correct rhythm, then the bow and the left fingers obey their ears. Even a rubato in the ensemble is factored in. The beat has personality; it absorbs the emotion and the motion of all the accompanying voices. It goes well beyond the hollowness of a metronome. It is a beat with benefits. The good news is that elements of talent can be taught. Even though I kept playing out of tune for years, or my rubatos were rather misshaped, the solutions were inside of me, but were just out of reach. Repressed talent in all of us can be awakened. It takes a teacher that explains the natural properties of music and technique. In the case of the fingerboard, Dr. Suzuki recognized the universal problem that children played the first finger on the A string and the adjacent first finger on the D string out of tune. He published a book called Quint Etudes to address the problem. That knowledge came naturally to a few, but for the rest of us, it needed to be explained. Talent is the application of thought, logic, and experience. It is the opposite of inadequate explanations and wishful thinking that unfortunately has fueled our performances since we were young children. Our accumulated knowledge slowly and steadily takes our shortcomings and repressed talents from their hiding places and reverses the course of making the same mistakes over and over. Will power and conscious thought are significant tools that a musician brings to his instrument and ensemble. When a teacher admonishes a student to not think, just play, it should be taken with a grain of salt. The first time I shifted felt like a near-death experience. My lack of eye-hand coordination as a child (couldn’t throw a ball to save my life) somehow didn’t stop me from playing the violin. I had a sufficient amount of "musical eye-hand-ear coordination" to do pretty well. I was not prepared for shifting, let alone playing off the string. When I shifted for the first time to third position, I instantly developed the crutch of letting the palm of my hand touch the shoulder of the violin. That lasted several years. Not entirely a bad habit, it helped me survive what might have been an abject fear of shifting. It didn’t matter that much that my left wrist was hard as a rock and my hand was rather inflexible. I needed to get out of first position, and it did the trick. I was in Wohlfahrt opus 45, third position. I was on my way, baby. A shift is neither hesitant nor overly cautious. It sets up the motion as inevitable and matter-of-fact. If you shift and you anticipate failure, you will slow down and not finish the motion until you’re sure the pitch is correct. Lead with the bow; of the two hands, the right has the easier job during a shift. An assertive and decisive bow arm will not disappoint you. So what if the shift is out of tune. If you figure out how sharp or flat you are, and by how much, you can fix it the next time. Know the intervals before you leap. If one finger in the hand position is lost, chances are the finger you’re shifting to will not land accurately. Shifting is very much like playing hopscotch, but the spaces are more narrowly defined. To firm up the trajectory and the landing, feel a magnetic pull between the fingertip and the fingerboard target. 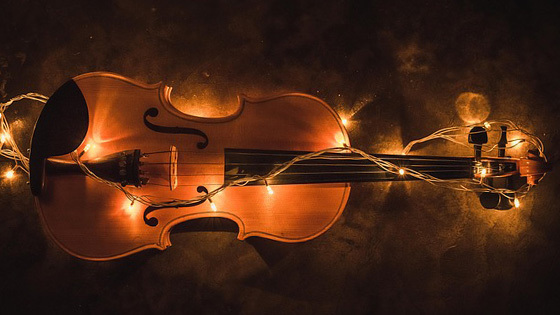 The ringing of the pitch in your ear should be closely connected to the sensation of hearing the pitch sounded from the violin. Itzhak Perlman spoke eloquently about the fact that he wasn’t a child prodigy but was fortunately blessed with talent. He made the point that many prodigies hit a brick wall when it comes to developing the flexibility and artistry that come with maturity. Even prodigies need to learn the skills that talent and experience reveal to each of us. When a player works for hours and doesn’t improve, he needs to change his perspective. If he’s practicing shifts slowly, without rhythmic assertiveness and confidence, the whole exercise could be pointless. On the other hand, if he places the shift in a musical context, the hand and arm will seem to move themselves. Even for the finest players, each has his Achilles’ heel. By accepting that all musical and technical decisions are based on the underlying talent that defines music, amazing growth and unlimited possibilities will be the outcome. September 19, 2018 at 10:33 PM · In the midst of reading about competitions and wunderkinds, it's refreshing to be reminded about balancing talent and hard work. It's also good to remember that each of us has some degree of talent that we must work to uncover. Your posts are always thoughtful, inspiring, and well written. Thank you! September 20, 2018 at 12:34 PM · Thank you! Whenever I hit a brick wall in my practicing, I let myself free-associate. I let my mind wander, and the solution is more likely to come to me. This is especially true in musical matters, where lots of possibities can percolate. This type of practicing leads to more colors and shapes of phrases in my playing.